In the wake of the success of Hidden Figures now is the time where anything regarding women and the space program is worthy of our attention. Netflix’s new documentary Mercury 13 isn’t nearly as entertaining as Hidden Figures, but it’s loving sentimentality for the women who dared to be female astronauts makes it worth checking out. Mercury 13 tells the story of the women who trained to be astronauts in 1961 only to see their dreams dashed by government bureaucracy and good, old-fashioned misogyny. I’m a sucker for space travel stories, maybe because it’s not something we currently invest government funds in. 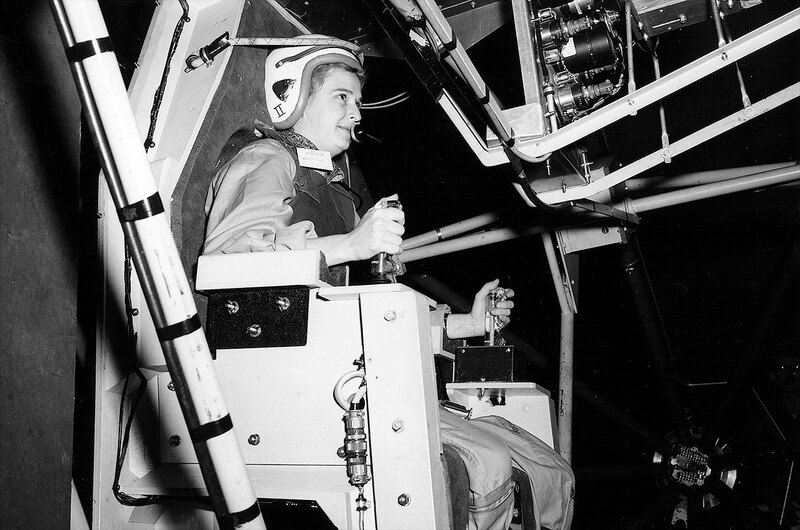 Mercury 13 does a solid job of examining the rise of women pilots in the early ’50s, starting with Jackie Cochran, and seguing into NASA’s desire to send both men and women to the moon. Several of the women involved in the program are interviewed, and are extremely candid in their recounting of history. Many of them acknowledged that people looked at them askance for wanting to be pilots, let alone astronauts. Husbands and family members though these women were insane for their love of planes. What’s most surprising is the physical rigors of learning space travel. The women interviewed are frank and forthright in their discussion of having high-pressure water shot into their ears, having to take daily enemas, and generally prove their mettle as being equal to their male compatriots. One of the husbands even questions whether the women were treated harsher than the men, describing their ordeal as “torture.” Factoring in that these women ultimately didn’t end up going into space only makes their struggle more frustrating. In terms of its structure Mercury 13 doesn’t break any new ground and takes a fair bit of time to get going. The various talking heads are interspersed with archival footage and radio recordings. At times the entire thing can feel a bit cold and sterile, as if you’re watching something made for PBS or to be aired in schools. This isn’t a detriment but you mind might tend to wander if you require additional stimulation. Netflix continues to be a great resource for documentaries like this. If you want to learn more about the Mercury 13 program this is a great jumping-off point. Hopefully it inspires you to learn more about the early space program which is a highly fascinating time period. This doc won’t please all comers, but it’s worth watching to expand your mind on what women are more than capable of doing. Mercury 13 is available to stream now on Netflix.